Health and safety affects all business sectors whatever their size. 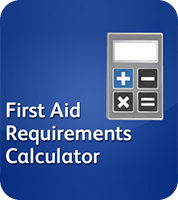 The regulations and procedures are intended to prevent accident or injury in workplaces or public environments. As an employer, or a self-employed person, you are responsible for health and safety in your business. We ensure our training meets your mandatory and legal requirements to ensure the safety of your business, your employees and your reputation. Our courses and support vary as every business has its own unique requirements. The accreditation for our consultants include awarding bodies such as IOSH, CITB, CIEH, and Qualsafe. So you are guaranteed the best training delivery expected by our professional training consultants at all times. Manual Handling Training This course is for anyone who carries out manual handling tasks in their work. This includes Office staff who may have manual handling activities of a low risk to warehouse staff. 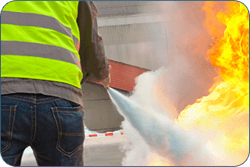 Fire warden training The Fire Marshal or Fire Warden course is designed to give in-depth fire training that every employee requires, including identifying potential fire hazards to staff evacuation. 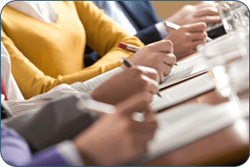 If you require a number of different courses to meet your mandatory training requirements we can offer discounted quotes to help you meet your training budget. 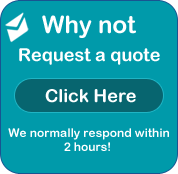 Simply call us on 0151 515 0416 to discuss your requirements or simply email us using our simple enquiry form. What is the CSCS Card Scheme? 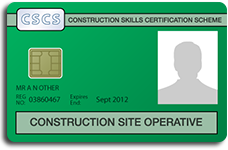 The Construction Skills Certification Scheme (CSCS) card is the largest competence scheme in the industry. It currently covers 220 occupations including trades, technical, supervisory and management. Most contractors and clients will now ask to see proof of competence before allowing workers onto their construction sites and the CSCS card lists the holders qualifications. It it also proof that the worker has passed the appropriate ConstructionSkills Health and Safety test and therefore has sound awareness of safety in the workplace. For further guidance and information please visit the CITB website. Our Moving and Handling of People course meets the requirements and recommendations of the HSE Manual Handling Regulations 1992 as well as other relevant regulations and guidelines. 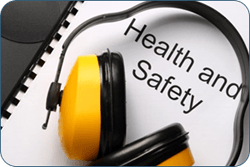 Health and Safety training Liverpool – for all business sectors Last year over 35 construction workers were killed and 2,000 suffered serious injuries such as musculoskeletal disorders, dermatitis or asbestosis as a direct result of their working procedures. The construction sector is graded as high risk but hazards are not restricted to those working in this sector. Last year five members of the public were also killed because construction activities had not been adequately controlled. The number of Fire Wardens needed should be based on the time it takes to check the designated areas in the building and is normally identified from your risk assessment. It is important that no area is so large that it cannot be checked quickly. Health and Safety training Liverpool – Our IOSH managing safely and IOSH working safely courses are to assist you in putting the right measures in place to mitigate the risks as well as making sure that all ‘on site’ workers have the appropriate skills, knowledge and understanding of their safety responsibilities. Our courses are delivered as ‘Open Courses’ and can also be delivered in your workplace anywhere in Liverpool and throughout the Merseyside area. For all your Health and Safety training requirements please call us on 0151 515 0416 today.